Want to keep your house, office or vehicle safe and secure while keeping your home smart? Well, there are tons of smart devices to keep the place safe, but nothing is better than the intelligent security camera and Spy Tec Zetta Z16 Intelligent Security Camcorder Camera is one of them. The intelligent security cameras are one of the most effective tools in this digital era. For years, smart security cameras are good at watching over you and recording your every move at home, office, shop and even at public parks. However, the smart security camcorder camera is making sense now, and they have come a long way in past years which solves your security issue at your house, office or any place you want. However, to have the best intelligent security camera isn’t that easy as the surveillance market is all flooded with tons of security camcorder cameras which are designed for just about anything. Do you require something to monitor events which are dozens of feet away? There are cameras out there those are ideal for only that, but the Spy Tec Zetta Z16 Intelligent Security Camcorder Camera isn’t one of them as it stands out with tons of excellent functionalities. 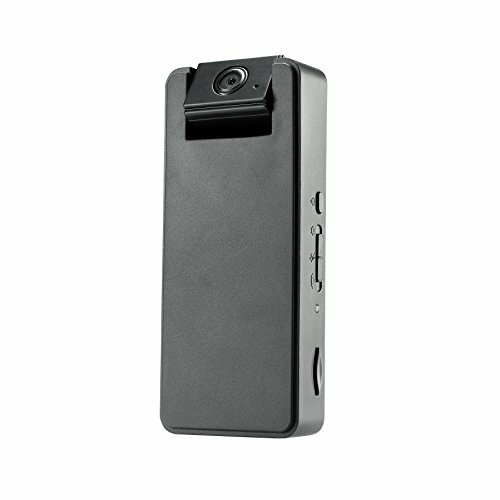 The Spy Tec Zetta Z16 Intelligent Security Camcorder Camera lets you keep an eye on your office, house or car along with a minimal footprint. This smart security camera offers a good sense of the security that any smart home nowadays requires to keep it safe and secure. The Spy Tec Zetta Z16 itself is very simple and easy to operate. This camcorder camera is made to fit into a palm seamlessly, and the Spy Tec Zetta Z16 has built-in mobility as well as convenience equally. Let us describe this product in detail below. The ideal Spy Tec Zetta Z16, the Intelligent Security Camcorder Camera, has all the functionality that you require to keep an eye on your home, office, vehicles or any other place. This camera records HD 720P video and audio recording. Even it comes with the setting to have good vision in low light as well. With its wide-angle 160-degree rotatable lens and compact design, it records clear footage. It supports Micro SD Card up to 256 GB which records up to 10 days continuous video. This camera comes with numerous of customizable functions in which the vibration trigger in low power mode can standby for 90 days, motion-activated, and voice triggered recording also included. The Spy Tec Zetta Z16 has motion/voice/vibration triggers and design for perfect concealed recording that makes it excellent portable surveillance. With the plug-in device, you can put this camera on standby mode for around 120 hours, and you can record video up to 10 days long. This Z16 security camera can also be scheduled to be on/off at a particular time slot. Apart all of these, the rotatable lens allows flexibility in placement. Perfect for the surveillance for house, office, and vehicles. HD 720P video and audio recording. 160 wide angle degree lens. Supports Micro SD Card up to 256 GB. Vibration trigger, motion-activated, voice triggered recording. Easy-to-overlook design is perfect for concealed recording. Plug-in device with a battery life of 10 hours. The rotatable lens allows flexibility in placement. One year SpyTec limited warranty. Perfect for home, and office use. Excellent video recording in low light. Battery life isn’t that long. This camera is easy to use as dashboard camera one can easily plug into the car adaptor it begins the recording as soon as the engine of the car starts. So keeping the few of the downside of the camera is packed with a cool list of functionalities that you might want in your security camera.